One of my goals was to raise children who love to read. My first two and my last were voracious readers growing up. My oldest son, not so much. The thought of reading to him...he'd rather be kind to his brother than be subjected to reading. This is where Heather L.L. FitzGerald enters the picture. I learned about her as an author from one of my long time favorite authors and publishing house owners, Miralee Ferrell. 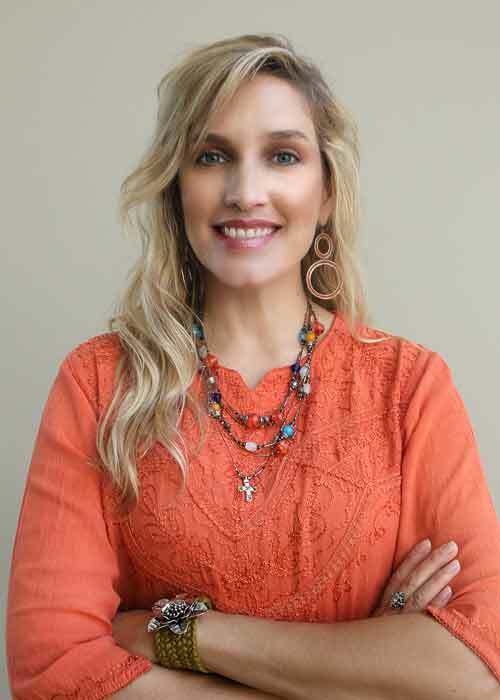 She began Mountain Brook Ink, and that's how I learned about Heather. I knew that my son MIGHT give this book a chance simply for the fact that it was fantasy. He likes fantasy and sci-fi movies. My parents bought him a tablet because he said he'd give reading a try on one. He said one of the things he didn't like about reading a book was how the pages felt on his fingers. I think he has some issues with textures. Spring forward a couple of years and he hadn't read a single book on his tablet. That is until I bought The Tethered Thread on Amazon. I downloaded it and asked him to give it a try. I have to admit, I grew up reading fantasy so I was hoping to read it as well! Then we'd have something to talk about. Guess what?! He read it. The entire thing! And he loved it. It was such a springboard for him. He has been reading book after book after book. He's even ordered his own books! Not just ones to read on his tablet. He's gotten actual books to put on his bookshelf. Yes, he had to get a bookshelf. Thank you, Heather! It has made a difference in this teenage boys life. Sadie Larcen and her family are slowly recovering from their life-altering trek to the Tethered World. That is until their aunt arrives clutching a mysterious letter and sporting a black eye. The letter that Aunt Jules shares with the family writhes with sinister implications. A new and menacing enemy has slunk from the shadows and is conspiring to seize the most powerful piece of weaponry in the land: The Flaming Sword of Cherubythe. The sword must—at all costs—be kept from the enemies who lust for its power. The threat extends to Sadie’s autistic brother Brock. As High King in training, he now resides in the Tethered World, within close proximity to the sword. It’s apparent that drastic measures will be required by all in order to protect what’s most important. Can Sadie once again confront her disabling fear, stare evil in the face, and walk away whole—let alone alive? 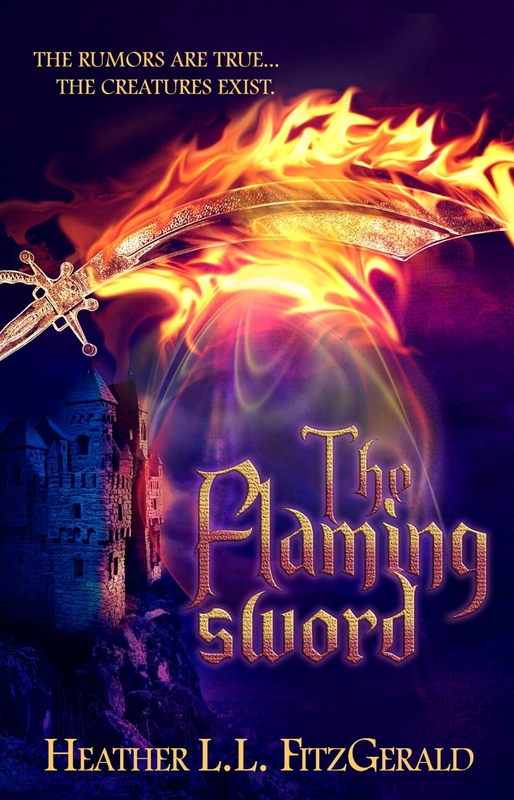 How can one teenage girl and her family save a sword with the potential to start a world war? Will lines be crossed even as Sadie’s faith is tested? Sadie knows it’s going to take a lot more than strength, grit, and courage to survive. Doesn't that sound like an exciting adventure? What young adult, or adult for that matter, wouldn't want to read this? If you've been looking for a new series to start, you've really got to try this one out. With Christmas just around the corner, you should really put this book set under the tree for them! Still not sure? You can sign up for Heather's newsletter and she'll send you chapter 1 of The Tethered World! How about you read the first three chapters of The Flaming Sword. Remember, it's book two in the series, but it'll draw you in! We love fantasy!!!! Thanx for the giveaway! I hope the kids visit Whitt Lake. I hope the kids visit the Meadow of Faeries. I hope they will visit the Hollows of Nimmickdell! I LEARNED THAT SHE HAS WRITTEN TWO BOOKS SO FAR. I've read both of these books and LOVE them both. Can't wait for book three! Heather is an amazing author and I'm so proud she's part of my company, Mountain Brook Ink. We're discovering that even people who aren't huge fantasy fans are loving this series. I hope all your readers will give it a chance...Oh, and something your readers might want to know...If they have a subscription with Kindle Unlimited, they get to read both FREE!!! !